Engage households not already moving towards sustainable lifestyles. Promote broader community education and engagement. The innovation of the program was first rate. The program is a fantastic idea that involves thinking outside the box and is one of the major strengths of the program. The transferability of the program was another highlight. The set up of the program is simple and effective allowing easy of transferability between suburbs and councils. Transition Streets was inspired by a number of other programs particularly Transition Streets in Totnes, UK. 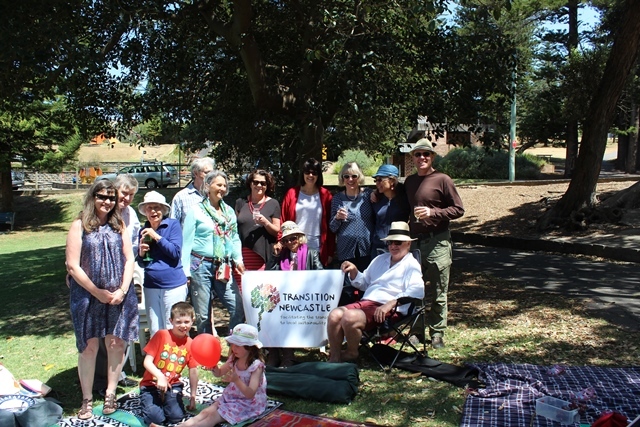 The CSIRO’s Energymark program, and Sustainability Streets also demonstrated the possibility of street-based discussion groups, while various community led initiatives – like the Painted Fish and Hulbert Street in Fremantle and Café 101 in Tighes Hill – showed the potential of neighbours coming together. A practical, easy-to-read workbook is the basis for discussion within the streets. (You can download a copy of the Transition Streets workbook here.) 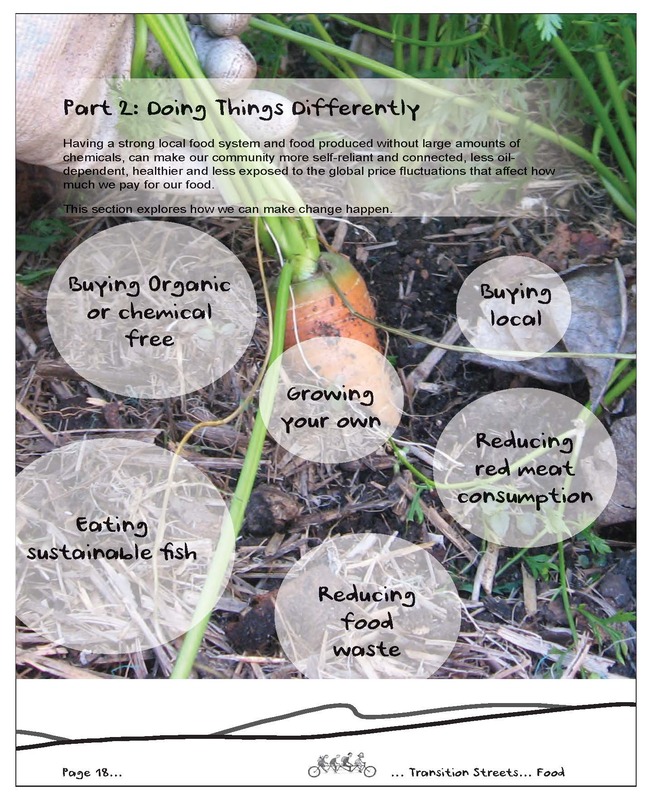 The workbook has chapters on energy, water, food, transport and consumption & waste. Each chapter includes background information, ideas for action, ways to involve children, fun and thought provoking challenges, and further resources. The thought provoking challenges highlight how we take many resources and the environment for granted. 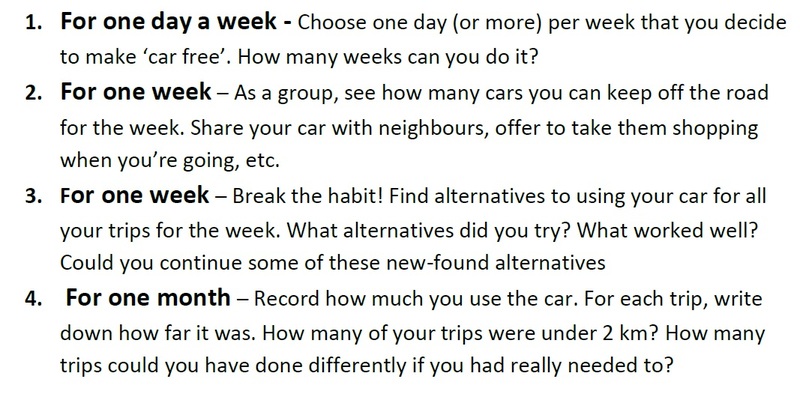 Examples of challenges include: using water from a bucket for a day, seeing how many cars the group can keep of the road for a week (e.g., by shopping together, carpooling) and putting 20 cents in a jar every time someone opens the fridge to see how much is collected by the end of the day (or week). Households choose which challenges they want to try, and the focus is on thinking about issues, having fun and building community. Streets are encouraged to craft creative responses that help them become more sustainable. Each month focuses on one of aspect of sustainability and the streets are invited to think about how they can work together to make a difference. Street events such as film nights, street parties and local food dinners help create interest in the street and bring neighbours together. One of the real benefits of the program is the strengthening of social capital within the neighbourhoods. 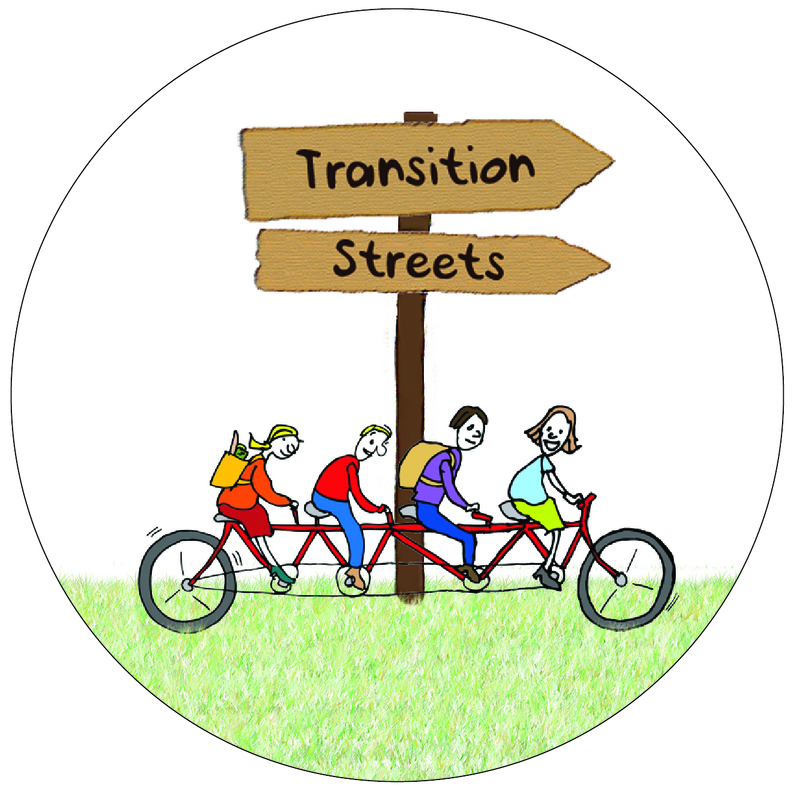 Transition Newcastle also organises films, workshops or other activities that link in with the chapters of the workbook so participants in the Transition Streets can learn more or be inspired by what others are doing. Each street is autonomous and is free to do the program as they want. 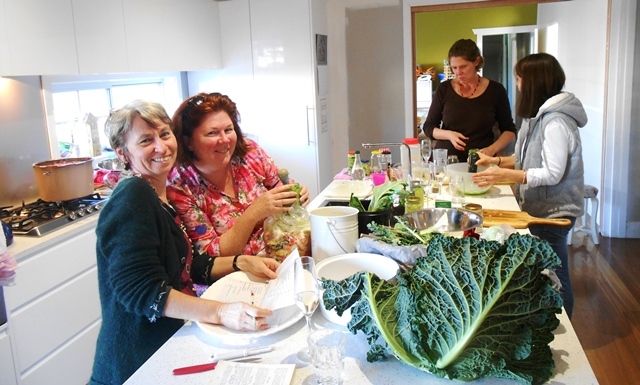 Generally streets meet about once a month to discuss a chapter from the workbook and they might also arrange some other activity in between the discussions (e.g., a shared meal or a film night). There is the potential for people in the street to be involved to different degrees. Some people will join in the discussions based on the workbook, while others might only join in some street events or projects. The discussion groups can’t be too big as they need to be able to fit in somebody’s living room or back deck, and to allow for easy discussion. Transition Newcastle provides support to the streets throughout the program by attending the first session (if the street group wants us) and can help with advice, resources and contacts. 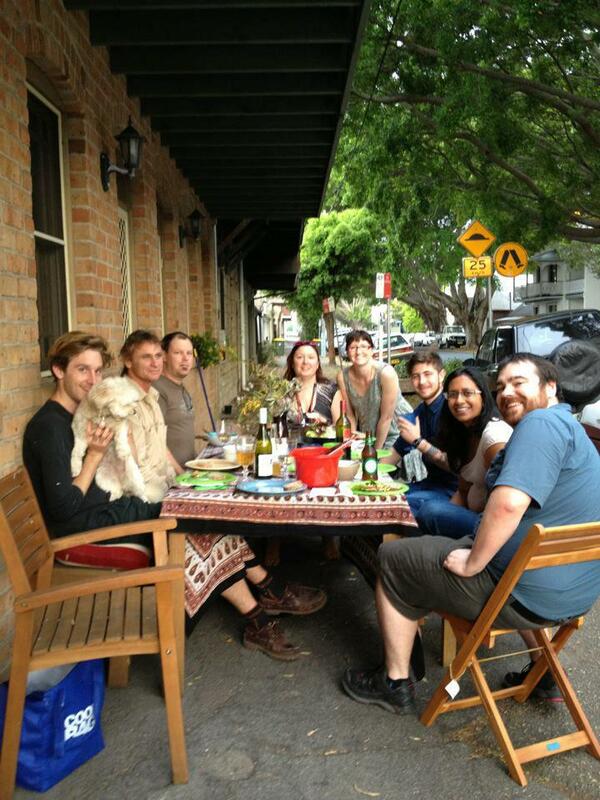 We also host regular meetings of the street contacts so that they can learn from each other. Street contacts have found these very helpful in allowing them to discuss what is working and what has been difficult, share ideas, and support each other. Some people find initiating Transition Streets in their street fairly daunting and they appreciate knowing they are not alone and gaining ideas from other contacts. A major part of the Transition Streets program is working as a group with your neighbours, so it’s important to ensure your discussions and activities are a positive experience for everyone. The following are some practices (most of them fairly obvious) that could help make the experience work successfully. Letting everybody have a say and actively listening to them. Being reliable, trying to do what we say we’ll do, and letting people know if we are unable to do so. Being understanding when other people are unable to do what they said they would do. Being committed to the process. Offering practical and moral support to each other. Respecting people’s differing levels of involvement. In cooperation with Transition Banyule and Transition Kingston (both in Melbourne) we have now created a national edition of the workbook so that it can be run in other towns and cities. We are really excited by the potential of Transition Streets to make a difference to local communities. We look forward to seeing where it goes. This entry was posted in Environmental sustainability, Working with communities and tagged Building community, Environmental sustainability, Social capital, Transition movement, Transition Network, Transition Newcastle, Transition Streets, Transition Towns, What is, Working with communities. Bookmark the permalink. 5 Responses to What is Transition Streets? Reblogged this on Transition Newcastle. Makes me think. 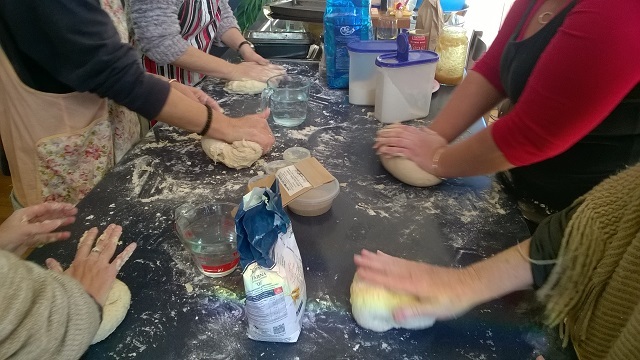 We are taking part in the Big Lunch on 1st June with transition hosting the event. It would be a nice thing to e mail to attendees afterwards as a starter. That would be great Belle. Hope you lunch goes well! Sounds fantastic. Well done. I love that your approach connects local people to improve thier place. Much of the aciton is happening around NSW but the stand out point is that by making it a street challenge it connects neighbours creativly and as their relationships develop the project can be sustained and developed.